Why Hire Me To Buy a Home When You Have The Internet? Let me start with a story that has nothing (and everything) to do with real estate. A few years ago I started having heart palpitations. It was simply annoying at first, until it happened in the middle of the night and I thought I might die. I didn’t know much about it so I researched it on the internet. There were tons of articles and WebMD info about heart palpitations. It started by saying that most of the time this condition is harmless… unless it’s not… then you might die. Then it gave a list of 50 things to improve the symptoms. The list seemed to be the same for every health problem I’d ever had: reduce stress, eat better, exercise more-unless it increases the heart palpitations of course. So I went back to bed with lots of info but no clear direction. Aha. I understood. She short circuited all my overthinking and personal problem solving with a clear direction. The simplicity of it was initially confusing but in reality she had seen thousands of people just like me and knew how to best help me with the least amount of pain and hassle. My job as a Realtor is similar. Clients can access lots of online information about homes, neighborhoods, and schools all without me. They hire me because I am their advocate against information overload, helping sort out the meaningful content from the noise. There are so many decisions to make in a transaction and it is impossible to pre-plan for all of the possible problems. For example – when should you have a sewer scope done and when should you skip it? What happens if there is a sewer line issue? You might have been the winning bid, but your bargaining power is decreased when 3 other buyers are lined up in case you don’t want to buy the home. Should you buy it anyways? The answer is… it depends, and that is what I help clients decide. 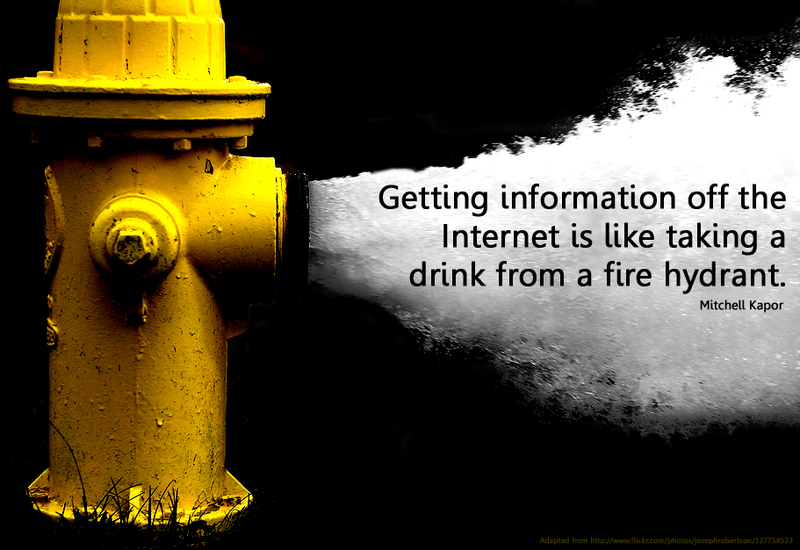 Information is great, but it’s different than knowledge. 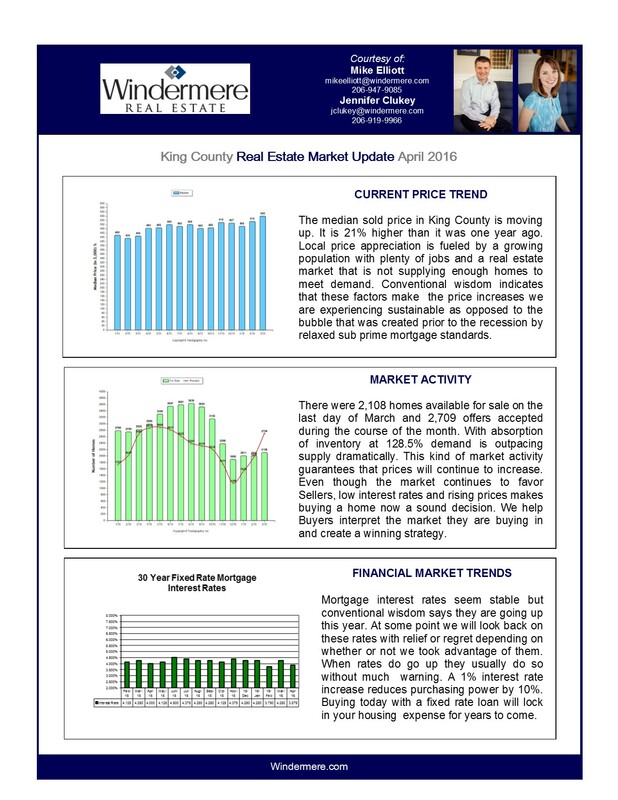 At an average price of over five hundred thousand dollars per home in the Seattle area, it’s important to know when to have open heart surgery, and when to simply lay off the caffeine. 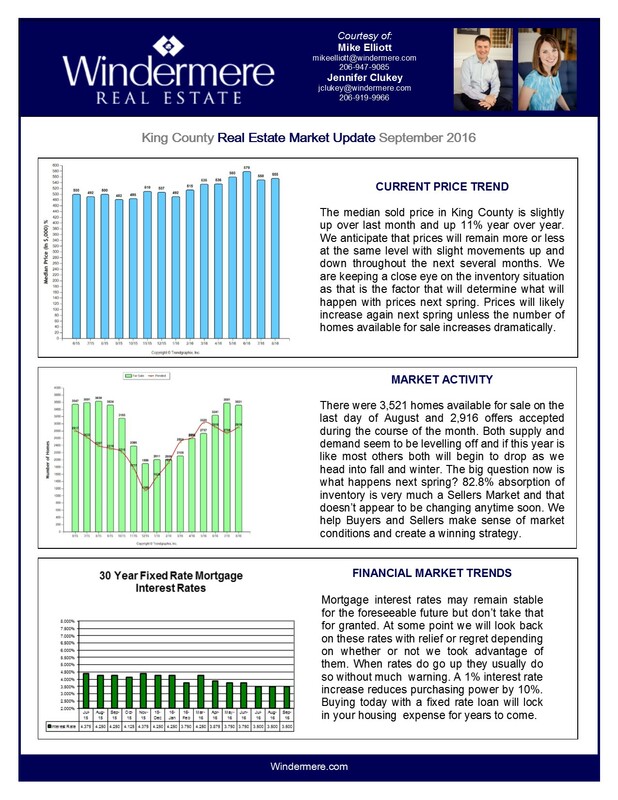 We’re seeing a slight seasonal cooling in demand this month. 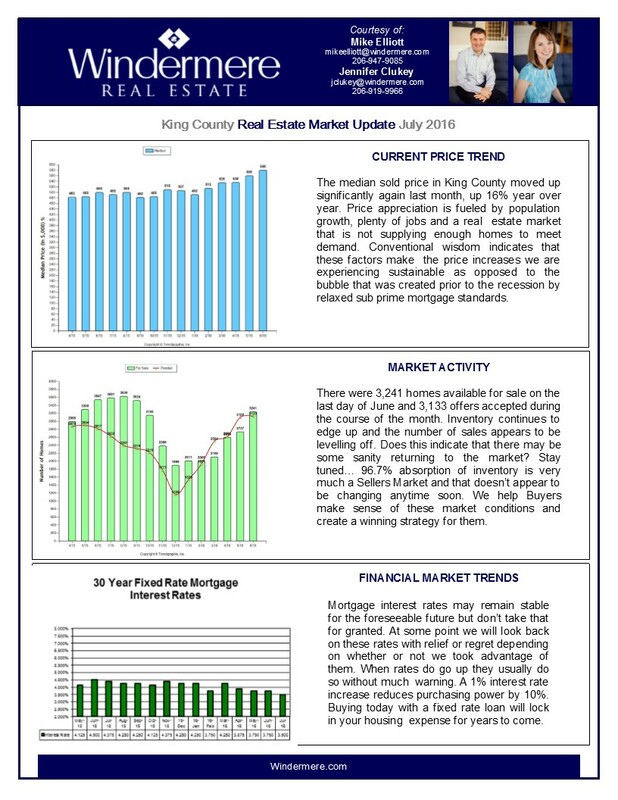 Potential buyers should keep in mind that interest rates may not always be this low and rate increases will reduce their buying power significantly. Want to talk strategy? Give me a call! Does having A/C increase your home’s value? Ever since we purchased our current home without A/C thirteen years ago, this conversation has been a hot topic (pun intended) for my family. I argue that for $10,000 to install the new system, we could spend quite a few nights camped out at The Westin. In fact, 5 days per year at $200 per night means we could hotel it for ten years before we were in the hole. On the other hand, my husband claims that a good night’s sleep allows for better work days, therefore upping our overall earning power which would offset the cost. Fueling the discussion recently, Seattle has had particularly hot summers in the past few years. Last summer saw 12 days over 90 degrees and 26 days over 85 degrees. The year before was the previous record at 22 days. Not to mention the 116 days over 70 degrees. 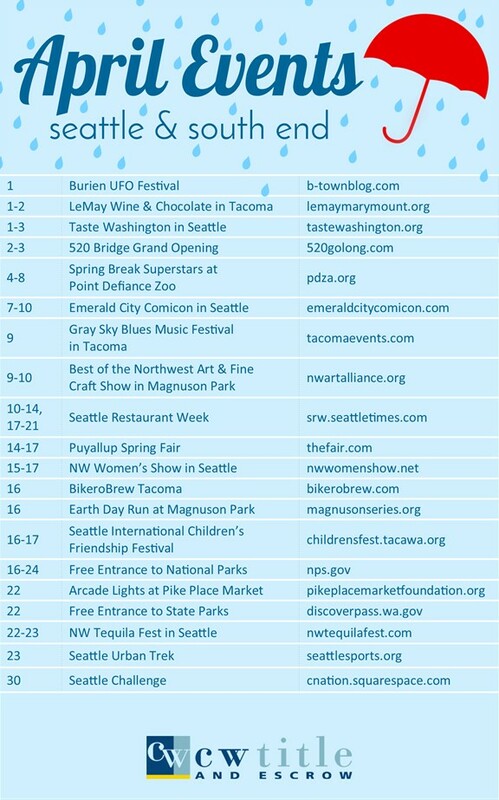 Typically Seattle only has 10 days a year with temps over 85 degrees. With the heat climbing, I know we aren’t the only ones dreaming of A/C on another sweaty sleepless night. So how does having A/C play into the value of your home? Here comes the tough truth… it doesn’t add value to your home. It is a fabulous feature to market, and the buyer will be very happy to have it, but I couldn’t take the value of a home and add $10k because of the A/C. 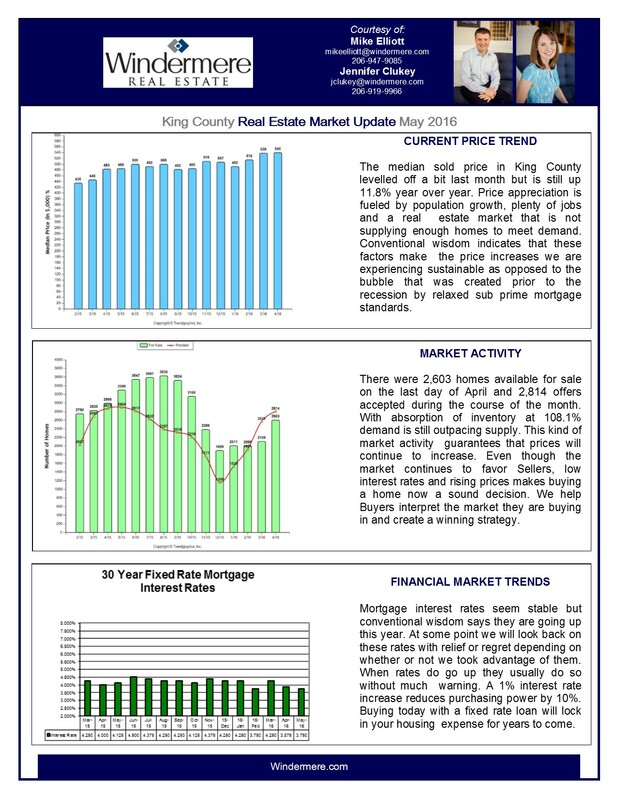 I help folks from all over the country purchase in Seattle. The locals never assume a house has A/C, and people from the East always assume it has A/C. Either way, they don’t make their decision to purchase it, or whether it is worth the price, based on A/C. In that moment there are too many other important considerations, mostly about location, lot size, room size/count, overall condition, schools etc. Once the sun goes down, open all windows and turn on fans to blow the hot air out. It usually cools down enough at night making for a natural A/C. Visit your friend who has A/C. 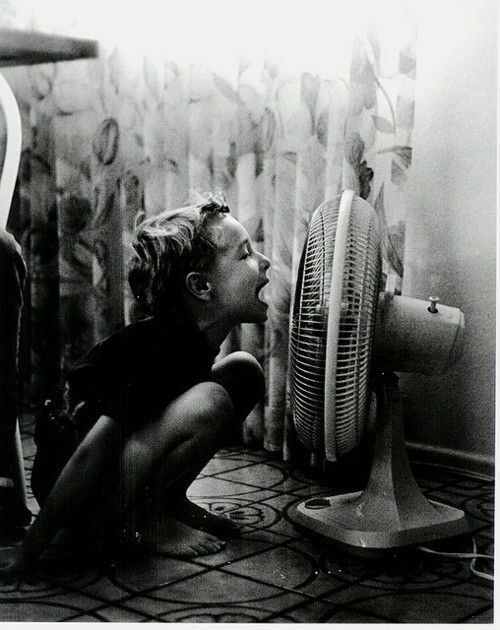 We all have that one friend with A/C. Now seems a good time to catch up. (Give us a call if you want to come mooch off of ours). Starbucks – At $4 per coffee, the price of A/C is built in, so stay and hang out all afternoon. Movies – So cold you’ll need a sweater. Small plastic pool – for the adults. Put it in your front yard, pull up a lawn chair and put your feet in. It will give your neighbors something to talk about. If you want to give your neighbors another reason to talk, leave it there over the winter. it’s time to take a second look- at our blog post this month! 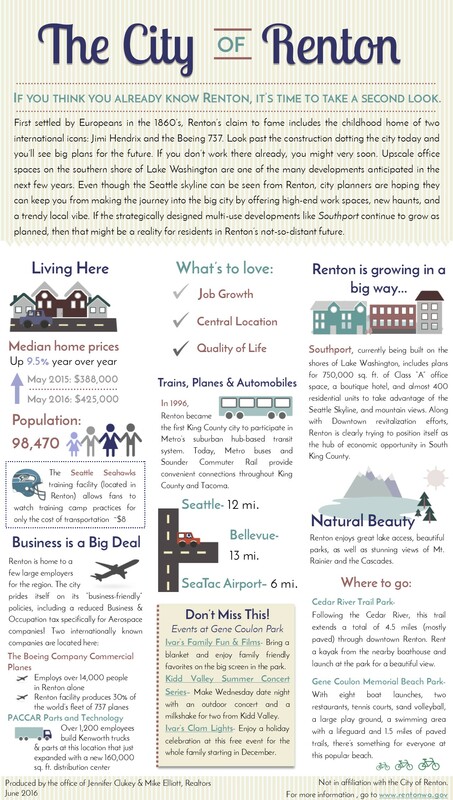 Check out the infographic below that’s all about Renton! Let us know what you think in the comments below! I’ve decided to do a blog series that spotlights a few unique aspects of the cities that make up the Greater Seattle Area. 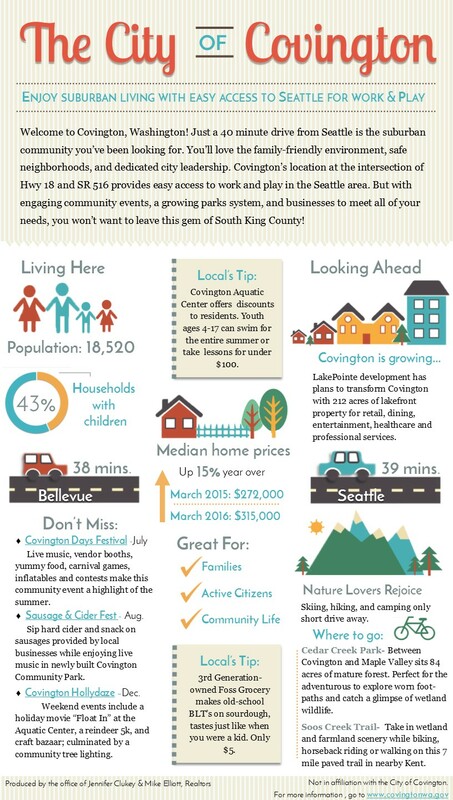 Feel free to pass this infographic along if you know anyone who is moving to the area or just wants to learn more about Covington. I’d also love to hear your feedback. Did I leave out your favorite thing about Covington? Let me know! 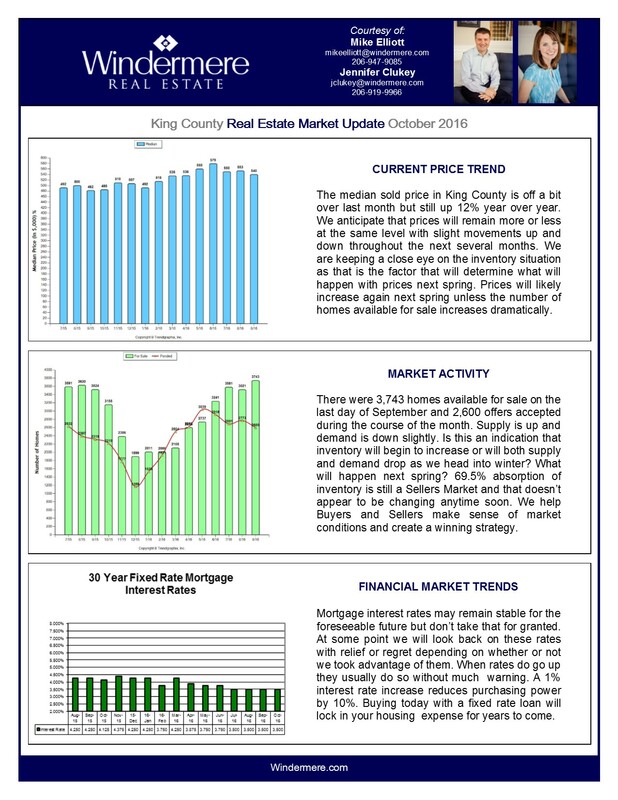 I was just working on our market update for this month and was struck by the fact that with 2 million people living in King County, there are only about two thousand homes available for sale … come on people time to move – Mike. I’m excited to try out some new places during Seattle Restaurant Week. What are you looking forward to most? Let me know in the comments below!